Anti-Aging face sunscreen and makeup primer in one. SPF 30 protection. This multi-tasking SPF 30 face sunscreen ticks more feature boxes than any other in the store. It has been specifically formulated to be non-drying for the face and is the first daily sunscreen / primer that's also water resistant ( hours), so you can use it on beach day. Also works perfectly as a makeup primer. It is formulated with anti-aging ingredients with the inclusion of Cosmos approved plant collagen to help reduce the appearance of fine lines and wrinkles. It is also enriched with certified organic jojoba oil for hydration, certified organic aloe to nourish the skin and green tea extract to brighten and even out skin tone. It is also rich in oleic acid and vitamins A, B and E from the chamellia oil in the formula. 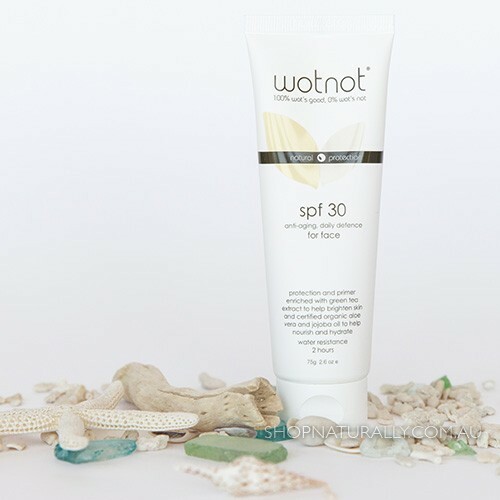 This SPF 30 sunscreen uses zinc oxide as the only active ingredient and is a broad spectrum sunscreen protecting you from UV-A and UV-B rays. How To Use Apply an eyen layer at least 20 minutes before going out in the sun. Find this goes on nice, and then two hours later I'll look in the mirror at work and realise I look like a zombie, its gathered in areas, and given my skin a greyish sickly hue. Definitely can't wear on its own, have to lay foundation over the top. Not a fan unfortunately. Absolutely lovely product! Goes on so smootly and leaves skin with a great matte finish. This stuff is the best. Goes on white, and rubs in well. actually makes my skin look better as well. <EOL>Works for me and I live North WA in extremely hot and sunny weather. I am so happy to have found a sunscreen that does not sting my eyes. 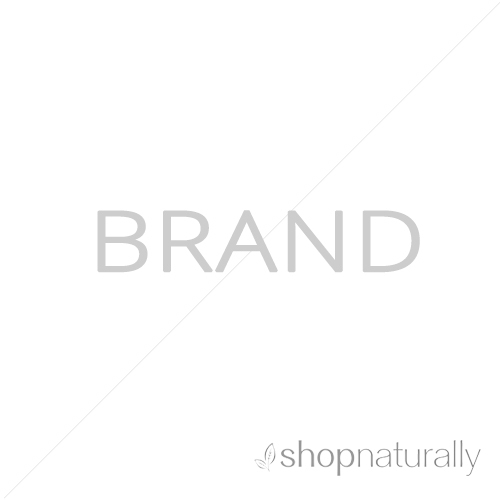 The consistency is lovely and hydrates my skin. I have dodged the sun for years, now I can enjoy, in moderation of course.